Table 1. Characteristics of 331 episodes of candidemia in three periods, 1996–2002 (period 1), 2003–2009 (period 2) and 2010–2016 (period 3). Table 2. Antifungal therapy and the outcome in 331 episodes of candidemia in three periods, 1996–2002 (period 1), 2003–2009 (period 2) and 2010–2016 (period 3). Candidemia is the most frequent invasive fungal disease in hospitalized patients, and is associated with high mortality rates. The main objective of this study was to evaluate changes in the epidemiology of candidemia at a tertiary care hospital in a 21-year period. We evaluated all episodes of candidemia diagnosed between 1996 and 2016 at a University-affiliated tertiary care hospital in Brazil. We arbitrarily divided the study period in 3: 1996–2002 (period 1), 2003–2009 (period 2) and 2010–2016 (period 3). Incidence rates were calculated using hospital admissions as denominator. We observed 331 episodes of candidemia. The incidence was 1.30 episodes per 1000 admissions, with no significant change over time. Candida albicans (37.5%), C. tropicalis (28.1%), C. parapsilosis (18.4%) and C. glabrata (6.9%) were the most frequent species. The proportion of patients receiving treatment increased (65.5%, 79.4% and 74.7% in periods 1, 2 and 3, respectively, p = 0.04), and the median time from candidemia to treatment initiation decreased from 4 days in period 1 (range 0–32 days) to 2 days in period 2 (range 0–33 days) and 2 days in period 3 (range 0–14 days, p < 0.001). We observed a significant decrease in the use of deoxycholate amphotericin B (47.4%, 14.8% and 11.9%), and an increase in the use of echinocandins (0%, 2.8% and 49.1%; p < 0.001). The APACHE II score increased over time (median 16, 17.5, and 22, p < 0.001). The overall 30-day mortality was 58.9%, and did not change significantly over the study period. There was an improvement in patient care, with an increase in the proportion of patients receiving treatment and a decrease in the time to treatment initiation, but no improvement in the outcome, possibly because the proportion of sicker patients increased over time. Over the past 15 years, changes in the epidemiology of candidemia have been documented, including shifts in species distribution,13 changes in patterns of resistance14 and therapeutic practices, with an increase in the use of echinocandins as primary therapy.3 In this study we sought to evaluate changes in the epidemiology of candidemia at a tertiary care teaching public hospital in Brazil over the course of two decades. We conducted a retrospective study at University Hospital, Universidade Federal do Rio de Janeiro, Rio de Janeiro, Brazil. This is a tertiary care hospital with ~450 beds with different medical and surgical specialties, and admits patients older than 12 years. We evaluated all episodes of candidemia diagnosed in the hospital from January 1996 to December 2016. The study was approved by the local Ethical Committee (number 30/03). Since 2010 there was a reduction in the overall number of beds in the hospital. However, the epidemiologic profile of patients did not change in the study period. Throughout the study period the decision of the choice of the antifungal drug for the treatment of candidemia and catheter management were at the discretion of the attending physicians. An episode of candidemia was defined as the first isolation (incident candidemia) of Candida species from a blood culture in a patient with signs of infection. If a new blood culture was positive within 30 days from the day of the incident candidemia, it was considered part of the same episode. However, if there was a new positive blood culture that was obtained beyond 30 days from the incident candidemia, this new positive blood culture was considered as a new episode of candidemia. A case of candidemia was identified by looking at the records of the microbiology laboratory. Once a case was identified, patients were followed for 30 days from the date of the incident candidemia. All data were collected prospectively, using a standardized case report form, with the help of a dictionary of terms containing all definitions of the variables collected. The following data were collected: age, gender, date of hospitalization, medical ward, underlying medical condition, co-morbidities (liver, lung, cardiac, neurologic or renal disease), receipt of transplant, hemodialysis, parenteral nutrition, mechanical ventilation, surgery (of any type requiring any anesthesia other than local anesthesia within the 3 months prior to the incident candidemia), neutropenia (<500 neutrophils/mm3), central venous catheter (CVC), receipt of corticosteroids, H2 blockers, antibiotics or antifungal agents (in the previous 2 weeks), APACHE II score on the day of the incident candidemia, hypotension or receipt of vasoactive drugs in the previous 2 days, fever, antifungal treatment, and the outcome (alive or dead 30 days after the incident candidemia). Blood cultures were collected by clinical indication, and processed using the automated system Bactec (Becton Dickinson, NJ, USA) in 1996 and 1997, and BactAlert (bioMérieux, Marcy-l’Etolie, France) from 1998 to 2016. Isolates were identified according to their microscopic morphology on cornmeal Tween 80 agar, complemented by biochemical tests using the ID 32C system (BioMérieux AS, Marcy l´ Etoile, France) or Vitek 2 cards (BioMérieux AS, Marcy l´ Etoile, France). In order to evaluate epidemiologic trends of candidemia, we arbitrarily divided the 21-year study period in 3: 1996–2002 (period 1), 2003–2009 (period 2) and 2010–2016 (period 3). In the analysis, we defined three age categories: children (≤18 years), adults (19–59 years) and elderly (≥60 years). Incidence rates were calculated using hospital admissions as denominator. Comparisons of categorical variables were undertaken using Fisher or Chi-square test as appropriate, and for continuous variables we used the Kruskal–Wallis test. The incidences of candidemia in the three periods were compared by the chi-square test for trend. P values <0.05 were considered statistically significant. All statistical analyses were performed in the SPSS software (version 15, SPSS, Inc.). During the study period we observed 331 episodes of candidemia in 324 patients. The median age of the 324 patients was 56 years (range 12–92), and 52.7% were males. The overall incidence of candidemia was 1.30 episodes per 1000 admissions, and did not change significantly in the three study periods: 1.05 per 1000 admissions in period 1, 1.50 in period 2, and 1.38 in period 3 (p = 0.58). Table 1 shows the characteristics of the 331 episodes in the three study periods. The median age increased slightly over time, from 52.5 years in period 1 to 56.5 years in period 2 and 60.5 years in period 3 (p = 0.06). On the other hand, there was a statistically significant increase in the APACHE II score over time (16, 17.5 and 22, in periods 1, 2 and 3, respectively, p < 0.001). Other significant changes comparing periods 1, 2 and 3 included an increase in the proportion of patients with chronic renal failure (p = 0.02), cardiac disease (p = 0.03), receiving dialysis (p = 0.003), corticosteroids (p < 0.001), vasoactive amines (p < 0.001), and on mechanical ventilation (p = 0.02). The proportion of patients with liver disease increased from period 1 to 2 and decreased in period 3 (p = 0.02). Of note, the proportion of patients in intensive care unit (ICU) did not change significantly. Characteristics of 331 episodes of candidemia in three periods, 1996–2002 (period 1), 2003–2009 (period 2) and 2010–2016 (period 3). Numbers in parenthesis represent percentage unless specified. APACHE, acute physiologic and chronic health evaluation. APACHE II score available for 113 patients in period 1, 132 in period 2, and 63 in period 3. The most frequent etiologic agent of candidemia was C. albicans (124 episodes, 37.5%), followed by C. tropicalis (93 episodes, 28.1%), C. parapsilosis (61 episodes, 18.4%) and C. glabrata (23 episodes, 6.9%). The remaining 30 episodes were caused by C. pelliculosa (7 episodes), C. krusei and C. famata (6 episodes each), C. guilliermondii (5 episodes), C. kefyr (3 episodes), and C. zeylanoides, C. lipolytica and Pichia ohmeri (1 episode each). There was no significant difference in species distribution during the three periods (Table 1). Previous exposure to fluconazole was associated with a higher proportion of candidemia due to C. glabrata or C. krusei (20.7% with vs. 9.7% without previous exposure to fluconazole), but the difference was not statistically significant (p = 0.10 and p = 0.06, respectively). Table 2 shows the antifungal agents used as primary therapy of candidemia. Overall, antifungal treatment for candidemia was given in 243 episodes (78.1%). The proportion of patients receiving treatment in periods 1, 2 and 3 was 65.5%, 79.4%, and 74.7%, respectively (p = 0.04). Among patients who received treatment, the median time from the date of the incident candidemia to the start of antifungal therapy reduced from 4 days in period 1 (range 0–32 days) to 2 days in period 2 (range 0–33 days) and 2 days in period 3 (range 0–14 days, p < 0.001). Primary therapy differed significantly in the three periods, with a sharp reduction in the use of deoxycholate amphotericin B (47.4% in period 1, 14.8% in period 2 and 11.9% in period 3), an increased use of echinocandins (0% in period 1, 2.8% in period 2 and 49.1% in period 3), whereas the use of azoles increased in period 2 (from 48.7% to 64.8%) and decreased in period 3 (39.0%, p < 0.001). Antifungal therapy and the outcome in 331 episodes of candidemia in three periods, 1996–2002 (period 1), 2003–2009 (period 2) and 2010–2016 (period 3). In 22 episodes a blind drug from a randomized trial comparing an echinocandin with liposomal amphotericin B was given. Fluconazole in all but one episode in period 1, treated with voriconazole. Patients who did not receive treatment were more likely to be older (61 years, range 15–92 vs. 56 years, range 11–92, p = 0.03), to have renal failure (60.2% vs. 46.1%, p = 0.02), solid tumor (28.4% vs. 16.0%, p = 0.01), to be on mechanical ventilation (55.7% vs. 41.2%, p = 0.02), hypotensive (69.3% vs. 40.3%, p < 0.001) to receive vasoactive drugs (59.1% vs. 31.7%, p < 0.001), to have higher median APACHE II score (22, range 3–53 vs. 16, range 2–60, p = 0.001) and to have candidemia due to C. glabrata (15.9% vs. 3.7%, p < 0.001). By contrast, no treatment was less frequent in candidemia due to C. parapsilosis (10.2% vs. 21.4%, p = 0.02). Seventy-five of the 88 patients who did not receive treatment died, at a median of 2 days from the date of the incident candidemia (range 0–20). Among the 13 patients who did not receive treatment and survived, nine occurred in period 1, three in period 2, and one in period 3. Five episodes were caused by C. parapsilosis, and four occurred in patients with hematologic malignancies. The overall 30-day mortality rate was 58.9% and did not change significantly over time (59.5% in period 1, 57.4% in period 2 and 60.8% in period 3, p = 0.88). The death rate in the three age categories was 41.7% in children, 51.5% in adults, and 68.8% in elderly patients (p = 0.004). We evaluated trends in the epidemiology of candidemia in a 20-year period, and observed that: (a) the incidence of candidemia did not change significantly over time; (b) there was a slight increase in the median age of patients with candidemia; (c) the occurrence of some factors such as mechanical ventilation and the use of vasoactive amines and corticosteroids increased over time (d) the severity of illness increased; (e) species distribution did not change over time, with C. albicans, C. tropicalis and C. parapsilosis accounting for over 80% of cases of candidemia; (f) the proportion of patients receiving antifungal therapy increased significantly between periods 1 and 2, and the time from candidemia to the initiation of treatment decreased over time; (g) we observed a change in therapeutic practices, with a reduction in the use of deoxycholate amphotericin B and an increase in the use of echinocandins as primary therapy; and (h) the mortality was high, and did not change significantly in the three study periods. The epidemiology of candidemia in Brazil was first characterized in a study that analyzed 145 episodes from 6 hospitals in the 1990s. In that study, C. albicans, C. tropicalis and C. parapsilosis accounted for the majority of cases, most patients received deoxycholate amphotericin B as primary therapy, and the mortality rate was 50%.15 The same epidemiologic characteristics were reported in a larger study from the same group, evaluating 712 episodes of candidemia from 11 centers in 2003 and 2004,1 and in a study in 25 centers from 8 Latin American countries.7 The characteristics of patients in the present study are quite similar to those reported in these studies. Epidemiologic trends of candidemia in Brazil were evaluated in five studies. The first analyzed 73 episodes of candidemia in ICU patients in a 7-year period in a teaching hospital. While no change in the incidence or species distribution was observed, there was an increase in the use of fluconazole and an echinocandin.16 Another study evaluated epidemiologic trends of candidemia in 10 years in a private hospital in São Paulo. Incidence rates and species distribution did not change, but a decrease in the use of deoxycholate amphotericin B and an increase in the use of echinocandins was observed. The mortality rate was 44.2%.17 Other study evaluated trends in the epidemiology of candidemia in 2 tertiary care hospitals in Cuiabá, and found an increase in the incidence comparing 2 periods of 3 years.5 Another study analyzing 388 episodes of candidemia in two periods (1994–1999 and 2000–2004) also noted an increase in the incidence of candidemia over time. In addition, patients in period 2 were older, and had more comorbidities. 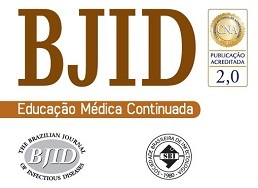 No change in species distribution or mortality was observed.18 The latter study evaluated 647 episodes of candidemia in ICU patients from 22 public and private Brazilian hospitals in two periods: 2003–2007 and 2008–2012. In period 2 there was an increase in the prior exposure to fluconazole and candidemia due to C. glabrata, and a reduction in the use of deoxycholate amphotericin B and an increase in the use of an echinocandin as primary therapy.3 Many of the trends reported in these studies were observed in the present study, including the stable incidence and species distribution, increasing age, more co-morbidities and a shift from deoxycholate amphotericin B to an echinocandin in the primary therapy of candidemia. Over the course of the three periods, we observed some important improvements in patient care, including a higher proportion of patients receiving treatment, a shorter time between the date of the incident candidemia and the initiation of therapy, and an increase in the use of echinocandins, which is associated with better outcomes.19 These improvements should have resulted in a decrease in 30-day mortality. However, the mortality rate did not differ over time (59.5%, 57.4% and 60.8% in periods 1, 2 and 3, respectively). The most likely explanation for this observation is that these improvements in patient care may have been counterbalanced by the fact that over time the proportion of sicker patients increased, as shown by an increase in the median APACHE II score and in the proportion of patients under mechanical ventilation, hypotensive, and receiving vasoactive drugs. Although the proportion of patients receiving treatment increased, between 20 and 25% of patients still do not receive treatment. An analysis of the characteristics of these patients suggests that these are very sick patients, with high APACHE II scores, on mechanical ventilation and vasoactive drugs. Indeed, the majority of untreated patients died (85.2%), at a median of two days from the incident candidemia. These data suggest that by the time blood cultures became positive the patient was already dead. Interestingly, 13 patients did not receive treatment and survived. The large majority (9 episodes, 69%) occurred in period 1, and only one in period 3. Over the past 15 years many changes have occurred in the care of candidemia, including active laboratory-based search for cases of candidemia, consulting and educational measures. These measures may have contributed to better patient care. The overall mortality in the present series was high (58.9%), with an increase in death rate in the three age strata. Compared to large series published in the region, our mortality rate was much higher. This may be explained by the fact that the median age in the present study (56 years) was higher than in other studies (41 years in the second Brazilian study,1 and 26 years in the Latin American study7), because while in other studies patients from all ages (including neonates) were enrolled, our study was conducted in a hospital that admits only patients older than 12 years. Our study has some limitations. While data were collected prospectively, the retrospective analysis was limited to the variables already collected. Likewise, there was some heterogeneity in the methods for processing blood cultures and species identification. In conclusion, the incidence and species distribution of candidemia was similar to other studies conducted in Brazil, and did not change significantly over the 20-year period. There was a change in therapeutic practices, with a decrease in the time to treatment initiation and a change in primary therapy, from deoxycholate amphotericin B and fluconazole to an echinocandin. However, the 30-day mortality rate did not change, possibly because the proportion of sicker patients increased over time. AL Colombo, M Nucci, BJ Park, et al. Epidemiology of candidemia in Brazil: a nationwide sentinel surveillance of candidemia in eleven medical centers. AL Colombo, T Guimaraes, LR Silva, et al. Prospective observational study of candidemia in Sao Paulo, Brazil: incidence rate, epidemiology, and predictors of mortality. AL Colombo, T Guimaraes, T Sukienik, et al. Prognostic factors and historical trends in the epidemiology of candidemia in critically ill patients: an analysis of five multicenter studies sequentially conducted over a 9-year period. T Guimaraes, M Nucci, JS Mendonca, et al. Epidemiology and predictors of a poor outcome in elderly patients with candidemia. HD Hoffmann-Santos, CR Paula, AC Yamamoto, T Tadano, RC Hahn. Six-year trend analysis of nosocomial candidemia and risk factors in two intensive care hospitals in Mato Grosso, midwest region of Brazil. AL Motta, GM Almeida, JN Almeida Junior, MN Burattini, F Rossi. Candidemia epidemiology and susceptibility profile in the largest Brazilian teaching hospital complex. M Nucci, F Queiroz-Telles, T Alvarado-Matute, et al. DA da Matta, ACR Souza, AL. Colombo. Revisiting species distribution and antifungal susceptibility of Candida bloodstream isolates from Latin American medical centers. AM Doi, AC Pignatari, MB Edmond, et al. epidemiology and microbiologic characterization of nosocomial candidemia from a Brazilian National Surveillance Program. AL Colombo, M Garnica, LF Aranha Camargo, et al. Candida glabrata: an emerging pathogen in Brazilian tertiary care hospitals. TA Marins, AR Marra, MB Edmond, et al. Evaluation of Candida bloodstream infection and antifungal utilization in a tertiary care hospital. ML Moretti, P Trabasso, L Lyra, et al. Is the incidence of candidemia caused by Candida glabrata increasing in Brazil? Five-year surveillance of Candida bloodstream infection in a university reference hospital in southeast Brazil. O Lortholary, M Desnos-Ollivier, K Sitbon, A Fontanet, S Bretagne, F. Dromer. Recent exposure to caspofungin or fluconazole influences the epidemiology of candidemia: a prospective multicenter study involving 2,441 patients. AA Cleveland, LH Harrison, MM Farley, et al. Declining incidence of candidemia and the shifting epidemiology of Candida resistance in two US metropolitan areas, 2008–2013: results from population-based surveillance. AL Colombo, M Nucci, R Salomao, et al. High rate of non-albicans candidemia in Brazilian tertiary care hospitals. E Girao, AS Levin, M Basso, et al. Seven-year trend analysis of nosocomial candidemia and antifungal (fluconazole and caspofungin) use in Intensive Care Units at a Brazilian University Hospital. TZ Sampaio Camargo, AR Marra, CV Silva, et al. Secular trends of candidemia in a tertiary care hospital. MP Wille, T Guimaraes, GH Furtado, AL. Colombo. Historical trends in the epidemiology of candidaemia: analysis of an 11-year period in a tertiary care hospital in Brazil. DR Andes, N Safdar, JW Baddley, et al. Impact of treatment strategy on outcomes in patients with candidemia and other forms of invasive candidiasis: a patient-level quantitative review of randomized trials.